The Nigerian Bar Association (NBA) yesterday expressed lack of confidence in the government's ability to pull the country back from the brink as well as fight the deep-seated problem of corruption. The association also backed the removal of five Chief Executive Officers (CEOs) of banks namely Cecilia Ibru of Oceanic, Erastus Akingbola of Intercontinental, Sebastien Adigwe of Afribank, Okey Nwosu of Finbank and Barth Ebong of Union Bank last week, by the Central Bank of Nigeria (CBN) Governor, Malam Sanusi Lamido Sanusi. In a speech delivered at the 2009 NBA Annual General Conference, the association's President, Mr. Oluwarotimi Akeredolu (SAN) lamented that corrupt individuals appear to have escaped justice despite assurances from the government that they would be exposed and punished. His paper titled “NBA And The Quest For Real Development In Nigeria,” did not spare President Umaru Musa Yar'Adua for the menace that he said is the most “debilitating” in the country. “The NBA has serious doubts concerning the commitment of government in combating the menace of corruption. 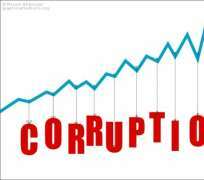 There are outstanding issues of corrupt practices in government circles,” said he. Akeredolu pointed out the Siemens bribery scandal in which some government officials were indicted. He went ahead to state that the panel set up to probe the Halliburton scandal is yet to inform Nigerians of the outcome. “Not long after the Halliburton scandal became public knowledge and the government after a widespread condemnation by Nigerians, set up a panel with all the security chiefs as members. There has been no report, either interim or full ever since. The noise has died down and the government is back to the business of the 'Ruse of Law,' he stated. The NBA President described Nigeria as a failed state because of the failure of democratic institutions such as the National Assembly, the executive and political parties to adequately represent the interests of the people. Akeredolu lamented the administration's failure to address key challenges including security, the Niger Delta crisis, constitutional and electoral problems. The NBA questioned the competence of the Nigerian police. It challenged security officials to parade suspected criminals in the media, contending that only a competent court of law is permitted to pronounce or present anyone as guilty. “Our sensibilities are daily assailed by the so called parade often made by police officers when a few arrests have been made. The victims of this trial via electronic media are not permitted to defend themselves while the whole drama is on. The presumption of innocence that avails anyone accused of committing a crime is routinely denied those paraded on television,” said the NBA President. Supporting the removal of the five CEOs, Akeredolu stated that “we are aware of what is happening in the banking industry. It is obvious that we are not happy with what is going on. So, NBA is solidly behind the governor of CBN in his quest to sanitize our banking industry”. In his goodwill message, the Chief Justice of Nigeria (CJN), Justice Idris Kutigi, frowned on the slow pace of cases in courts and blamed it on frivolous application by legal practitioners. Represented by Justice Umaru Eri, Administrator, National Judicial Institute, Kutigi stressed the need for peace, humility and endu-rance in the activities of the bar. The CJN observed that most legal practitioners in Nigeria are fixated on the use of litigation as a means of dispute resolution without recourse to other means such as Alternative Dispute Resolution mechanism. He drew the attention of the bar to series of complaints that the current Fundamental Rights (Enforcement Procedure) Rules 1979 are not in tandem with the present day reality. He said a Committee had been set up to look at a proposal jointly presented by the NBA and a non-government organization by name Access to Justice, to examine the recommendation and submit its report.